One of Europe's popular ski destinations is Italy, which is home to a great number of beautiful and unique ski areas and resorts. In the Italian Alps, you can enjoy ski and winter sports in a beautiful location and enjoy the magical views that stretch out to the horizon. 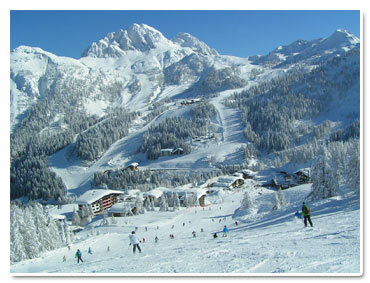 There are a number of very popular ski resorts in Italy that attract large numbers of visitors each year. Some of the most loved include Bormio, Monte Bondone, Santa Caterina and many others. The Bormio ski area is located in the north west close to the border with Switzerland, and provides some of the most spectacular landscapes, as well as great pistes and facilities. The Monte Bondone area is another firm favourite with skiers travelling to Italy, and in addition to the excellent pistes, you can enjoy the local entertainment and some delicious local cuisine. The Santa Caterina ski area is located in a very peaceful and beautiful village, close to the Swiss border, and it an ideal destination for family winter holidays. Italy has a great choice of beautiful ski areas and resorts that you can visit and enjoy quality ski and winter sport holidays.